Forewarning: This preview may contain spoilers, but such spoilers are already readily available on the internet from interviews, previews and the like. “Welcome to paradise.” And welcome to the one of the most awaited shows in television, a show so ambitiously graphic, the original premiere date was cancelled for this later date, a show so heavily publicized on so many different channels and venues to every possible demographic imaginable, it cannot possibly fail. But as one Twitter friend pointed out, it is going up against Monday Night Football; he felt it was only a matter of time before it was moved to another day. I doubt there is any show that wins over Monday Night Football, but Fox must have great confidence that this show can compete. After viewing the first 60 minutes, courtesy of Fox VIP, I can say this show has something for everyone. It is not primarily about dinosaurs. There is drama, humor, love, action, angst, heartthrob-status rebellious teenagers, adorable children, betrayal, mystery, idyllic tropical backdrops, and out-of-this-world visual effects. The show centers on the Shannon family: Jim (Jason O’Mara) and Elisabeth (Shelley Conn), and their 3 children, Josh (Landon Liboiron), Maddy (Naomi Scott), and Zoe (Alana Mansour). That is a problem in 2149 because the air is toxic and population is controlled to a maximum of 2 children. It is an even greater problem since Jim is a law enforcement officer. Their secret is discovered and the family is put through an ordeal that would tear other families apart. Love wins and without giving the details of how it happens, they manage to arrive to Terra Nova for a fresh start, but not without heartache for one of the members of the family. Jim has to prove himself to Commander Nathaniel Taylor (Stephen Lang) before he entrusts him with a secret. Not everyone is in harmony in Terra Nova. Expedition 6 left the compound for unknown reasons, and there is violence between them. The leader of expedition 6, Mira, will be quite familiar to every “Stargate SG-1” fan, Christine Adams. There will be trials ahead for the Shannon family as well as they adjust to their new lives. The show has the potential to be the next “Lost” with mysteries already being unlocked in the pilot episode. The writers, knowing how intelligent their audience will be, give a great explanation of why the butterfly effect will not occur–this is an alternate timeline. What is fantastic about that is that the writers will not be bound to what our knowledge base is for prehistoric history, being free to create new and interesting theories and–of course–fascinating new dinosaurs (and I’m sure other creatures). 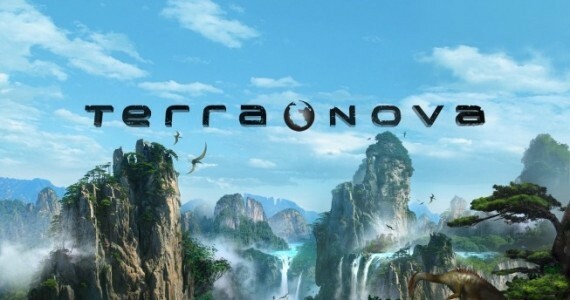 The executive producers on Terra Nova are: Steven Spielberg, Peter Chernin, Brannon Braga, Rene Echevarria, Alex Graves, Jon Cassar, Aaron Kaplan, Katherine Pope, Justin Falvey, Darryl Frank, Craig Silverstein, and Kelly Marcel. The director for “Genesis”, the pilot episode, is Alex Graves. The episode was written by Kelly Marcel, Allan Loeb, and Craig Silverstein. It premieres Monday night on Fox at 8 p.m. /7 p.m. central. Thank you so much, Karen. I’m wondering if the 60 minutes I watched (tomorrow is a 2-hour premiere) means there is more that even I haven’t seen or there are 60 minutes of commercials. I hope not. Yikes (the commercials). You are entitled to your opinion. There are always going people who like something and people who do not.